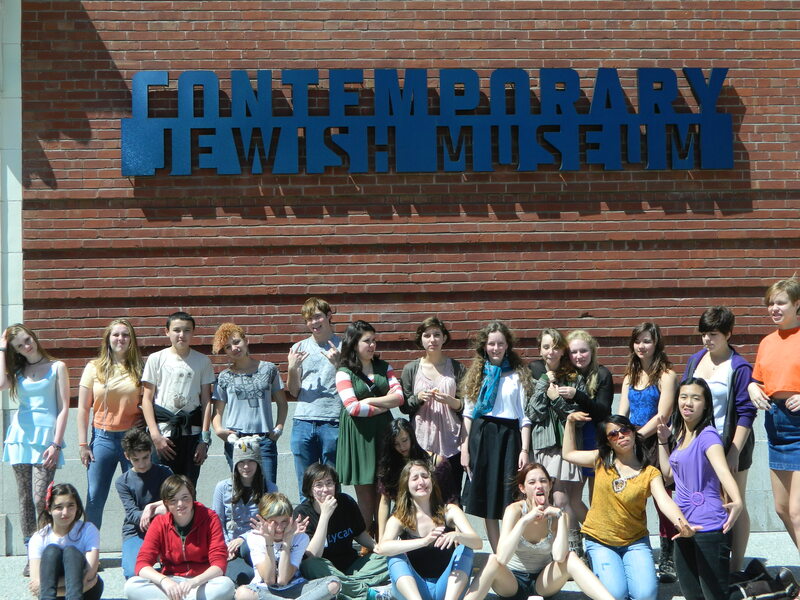 Today the department took to the underground to visit the Contemporary Jewish Art Museum, located across the street from the Metreon’s backyard. We were there to explore the Gertrude Stein and Charlotte Salomon exhibits, both of which took full advantage of form in their content. Stein classified herself as a “cubist with words,” and Salomon often included text and music with her paintings. All in all, a successful field trip, leaving us all feeling mighty cultured.